and Vermont residences for almost 30 years. Heavy Duty long bed work truck. And plow equipped!! Snow is eventually going to make an appearance. Don't Miss Out!! Call TODAY!! 800-966-1100 to verify vehicle availability, options, and pricing. See all of our vehicles at WWW.DALZELLBROTHERS.COM We're very easy to find on Rt. 1 south in Foxboro near Gillette Stadium! 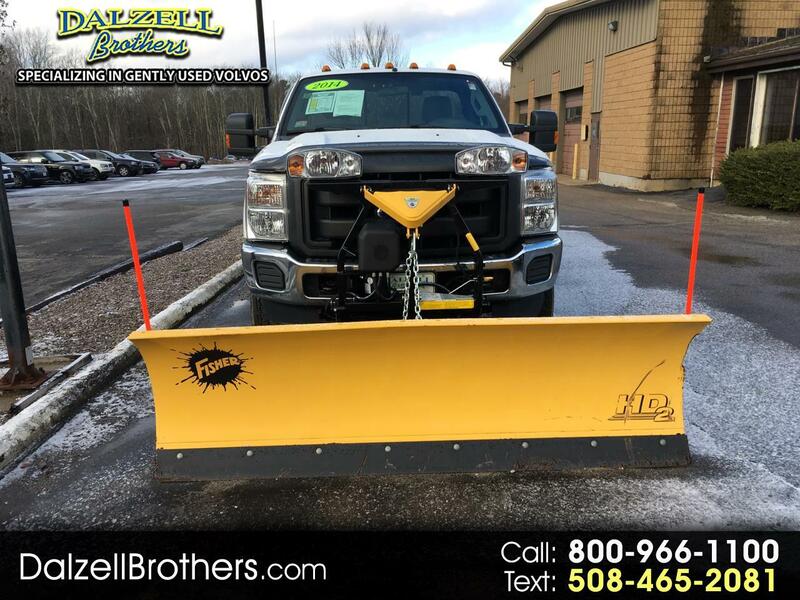 Visit Dalzell Brothers online at www.dalzellbrothers.com to see more pictures of this vehicle or call us at 508-543-4700 today to schedule your test drive. Message: Thought you might be interested in this 2014 Ford Super Duty F-350 SRW. While every reasonable effort is made to ensure the accuracy of this information, we are not responsible for any errors or omissions contained on these pages. Please verify any information in question with Dalzell Brothers. Prices posted are for the described vehicle only and they do not include added equipment, sales tax, licensing fees or dealer documentation fee.